MMT Digital is one of the top 20 design and build agencies in the UK. As a cutting-edge digital agency, their projects often include research and development. Indeed, they stay at the forefront of their industry by undertaking pure R&D themselves away from client projects. The agency was formed about the same time as the R&D tax credit incentive was launched. However, they have only started claiming the incentive in the last few years. Like so many other digital companies, they simply didn’t realise that they qualified. They’d even had informal conversations with other advisers who suggested they didn’t do R&D, but their understanding was transformed after a conversation with ForrestBrown. Fortunately, there is scope to look back at two to three years’ worth of R&D activity, so MMT Digital were able to make up for lost time. MMT Digital develop innovative digital products for global brands including the BBC, Martini and comparethemarket.com. Their projects range from standard website builds to bespoke systems that require extremely complex iteration. 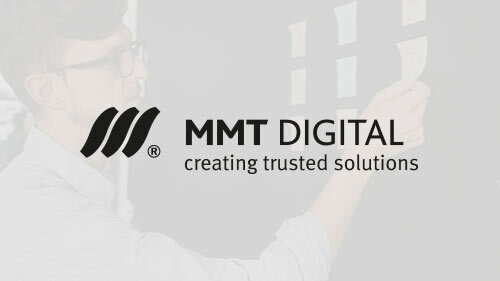 MMT Digital’s more challenging projects typically involve large scale, highly technical applications that make use of pioneering back-end infrastructure. One example of their innovative work was a project to develop a digital proof-reading platform that would save publishers a huge amount of time and money. The aim was to automate routine tasks, enable better collaborative working, build upon traditional paper-based methods with digital solutions like gesture recognition, and assist project management – all on one platform with a simple user interface. Two particular technological advancements they wanted to achieve were in the fields of gesture recognition and the development of the HTML5 canvas element. There was considerable uncertainty as to whether these would be satisfactorily achieved. The project was, however, a great success and the platform is now available commercially and is used by many publishing houses. As well as helping MMT Digital to do their bit to advance the overall body of knowledge in the industry, claiming R&D tax credits has also had a surprising impact on their business. Read more about R&D in digital and web development agencies.